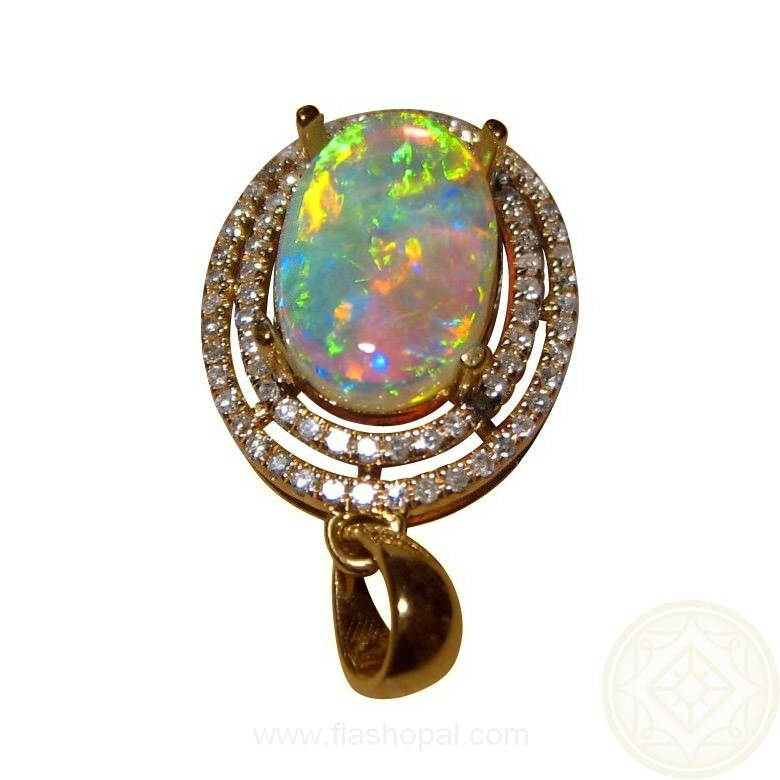 Stunning Opal Pendant for women with one oval Crystal Opal surrounded by a double halo of diamonds in 14k Gold. In stock and ready to ship. 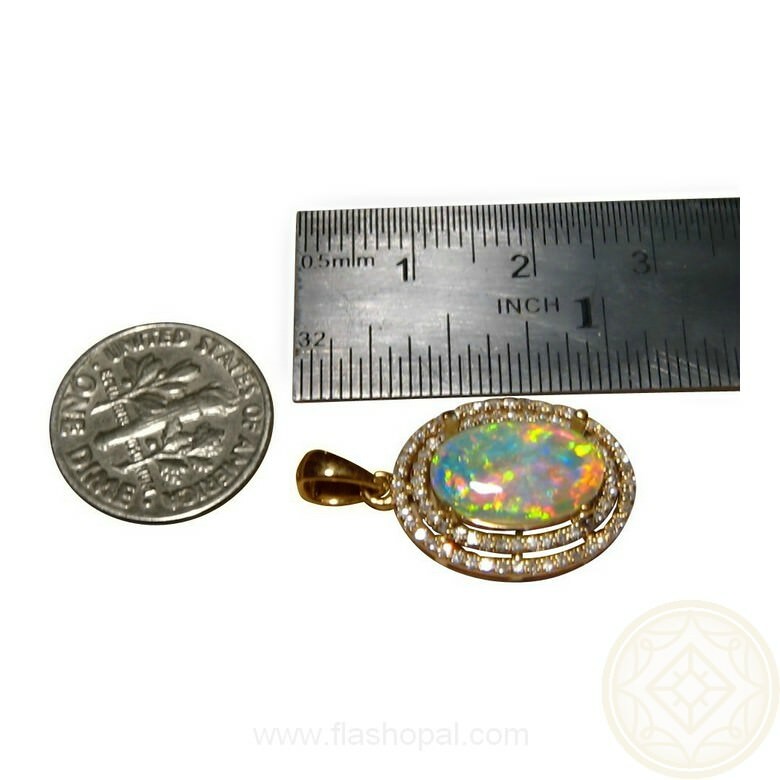 A very bright and colorful Opal and Diamond pendant for women and shown in 14k Yellow Gold. 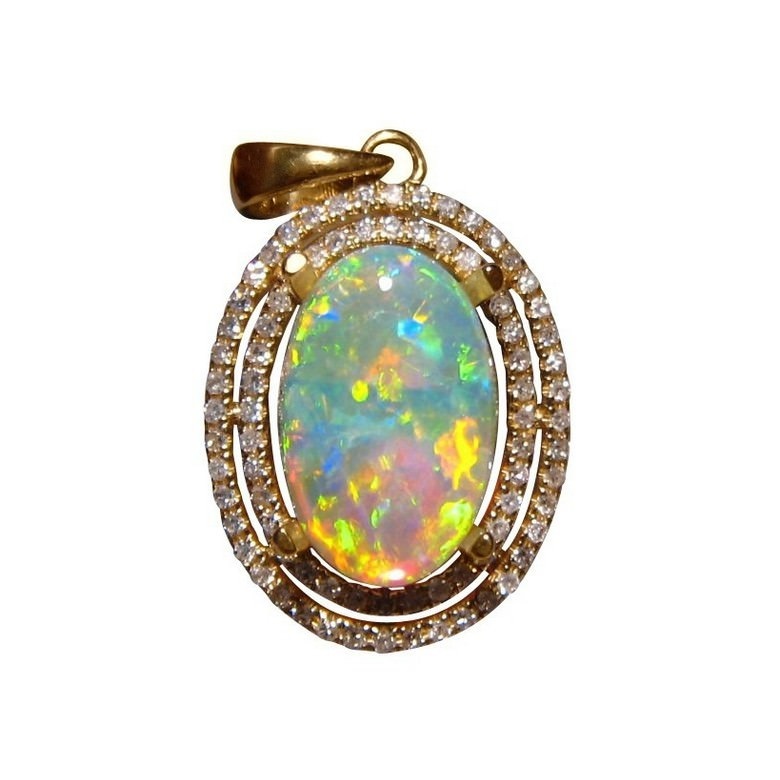 The oval Coober Pedy Crystal Opal weighs 1.85 carats and shows extremely bright Red, Green, Orange and Yellow in a lively small patch pattern. 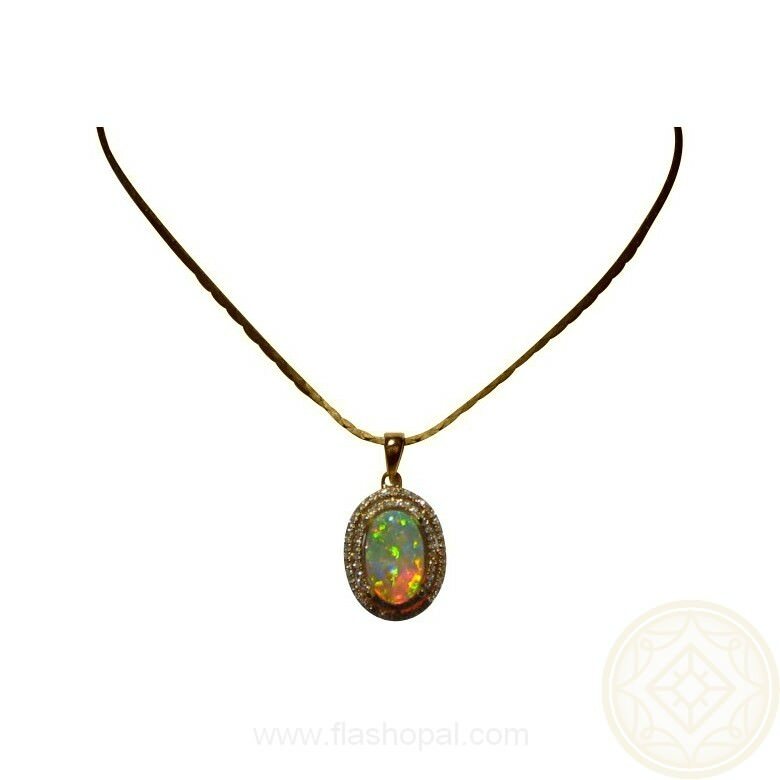 The Opal is surrounded by a double halo of small but quality diamonds for added sparkle and giving the whole pendant a larger look. 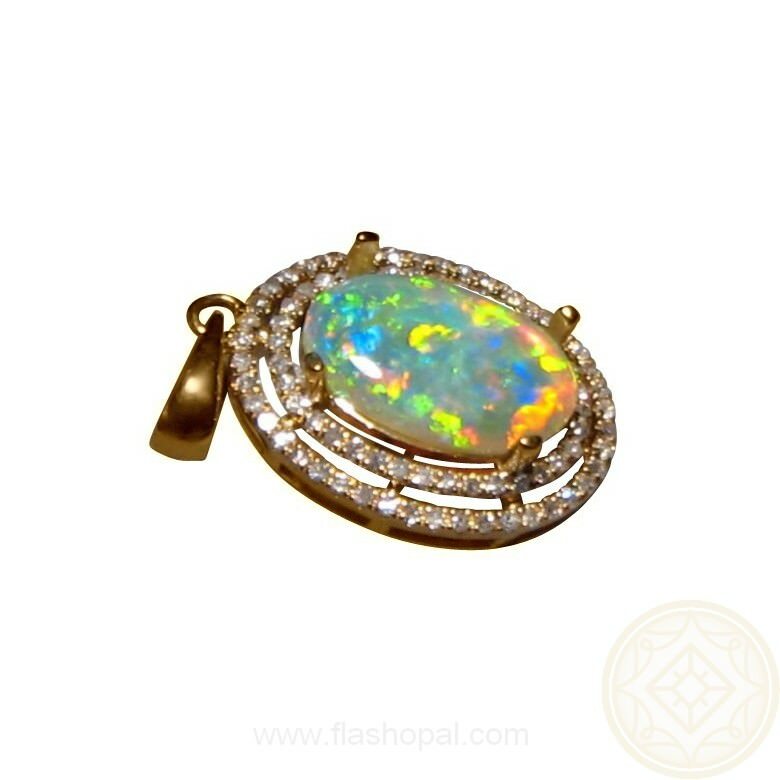 The Opal will be prong set after purchase allowing you to choose your preferred 14k Gold color and also means this Opal can be set in a different pendant or ring setting. 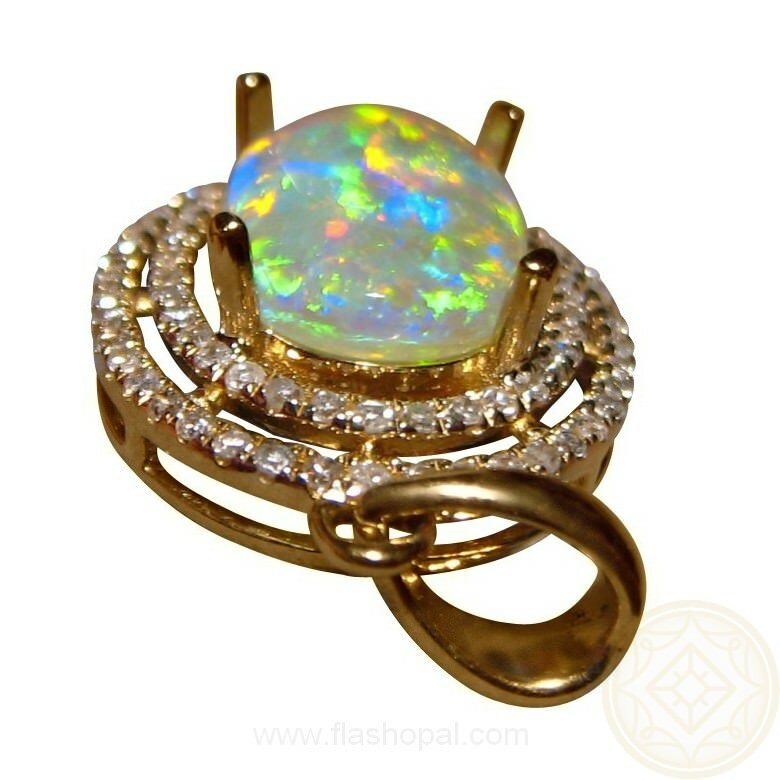 It is ready to ship as advertised or will take 14-21 days for White or Rose Gold or if you would like this in a setting more to your style, simply contact through this product with your preference for a no obligation quote.